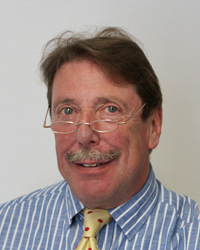 Professor Peter French (BEd, BLing, PhD, FRSA, FIOA) is the UK’s most experienced expert in the field of forensic speech and acoustics and is chairman of J P French Associates. He has worked in the field for 30 years and, as well as carrying out research, has been involved in implementing quality regulation and accreditation for forensic speech science. He is the President and a founding member of the International Association for Forensic Phonetics and Acoustics (IAFPA), and editor of the International Journal of Speech, Language and the Law and holds a number of offices in organisations in the discipline. Prof French has provided evidence in thousands of cases across the whole range of forensic speech and audio. His evidence has been for UK Crown Courts and courts across the world, including: Australia, Canada, Ireland, Germany, Ghana, Gibraltar, Hong Kong, Mauritius, The Netherlands, New Zealand, Singapore and the United States of America. He has worked on cases heard by the International War Crimes Tribunal and the Bloody Sunday Inquiry. Peter French has provided in-house training seminars and practical instruction in analytic techniques to scientific and technical staff of the Metropolitan Police in London and the FBI and United States Secret Service in Washington DC. Prof French and J P French Associates also have provided staff training, including work placements and shadowing opportunities, to the Netherlands Forensic Institute. BBC television’s South East Today in relation to voice analysis in the Gary Hampton murder case.